vehicle you are buying is correct? ​THAT the vehicle has had previous accident damage? ​Our customers avoid loosing money by buying vehicles with fraudulent odometer readings or accident history, others receive a refund or negotiate a fair price (in some cases more than 2 years after they purchased the vehicle). If the vehicle comes out with a clean check, they have increased the value of their vehicle as they can prove the genuine mileage and genuine auction report when they sell it. 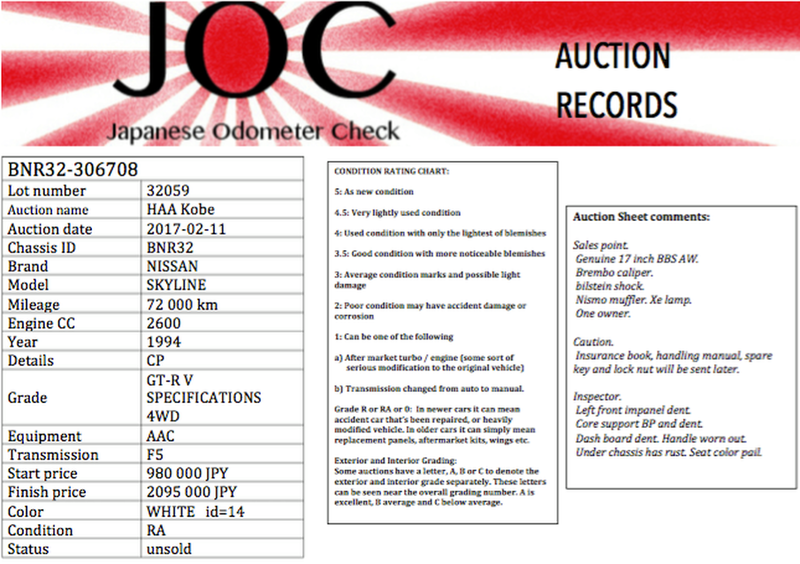 ​It is a sad fact that the majority of imported Japanese vehicles sold by dealers do not have the correct odometer reading. Winding back odometers (“clocking”) is widespread in grey imports. Around 80% of cars from dealers have been found to be wound back between 50,000 to 150,000km. ​In Japan, cars have to be registered every two years. Part of the inspection is an odometer check and the odometer reading is recorded together with the owner details. 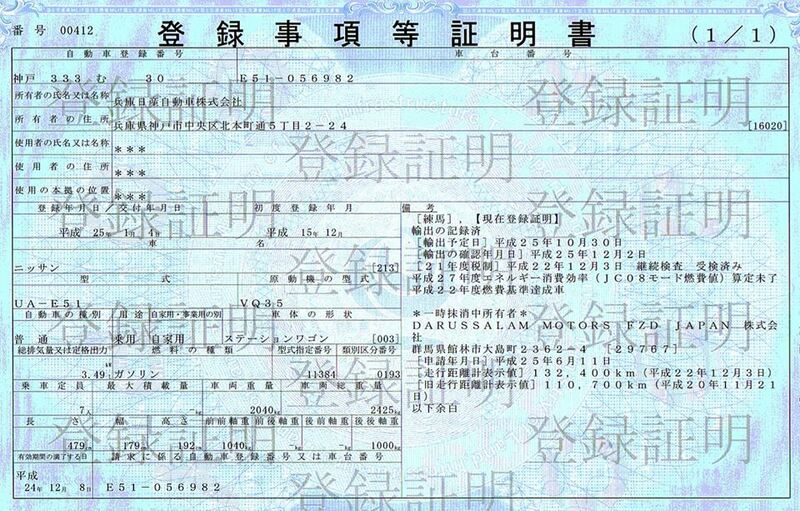 These watermarked documents state the odometer reading at the time of the last two registrations going back four years from the date of export. Full refund if no records can be found. There is only minimal data available for vehicles auctioned before 2011. ​Partial refund if some records cannot be found. There is only minimal data available for vehicles auctioned before 2011.